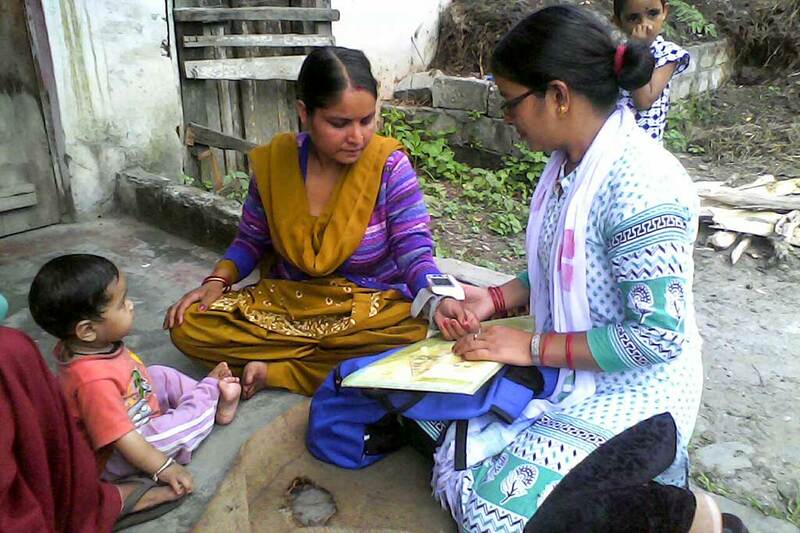 Checking blood pressure and heart rate in Dunda, Uttarakhand. Amrita SeRVe Health Workers are communicating care to villagers in a forward looking way. Each day, they visit homes to check in with families about what is going on. Like this, illnesses have a better chance of being detected early and actions for holistic wellbeing can be better encouraged. The practice is not only helping with maintaining better health and wellbeing for the villagers, but it is also strengthening their relationship with the health workers so that such vital information can be better shared. 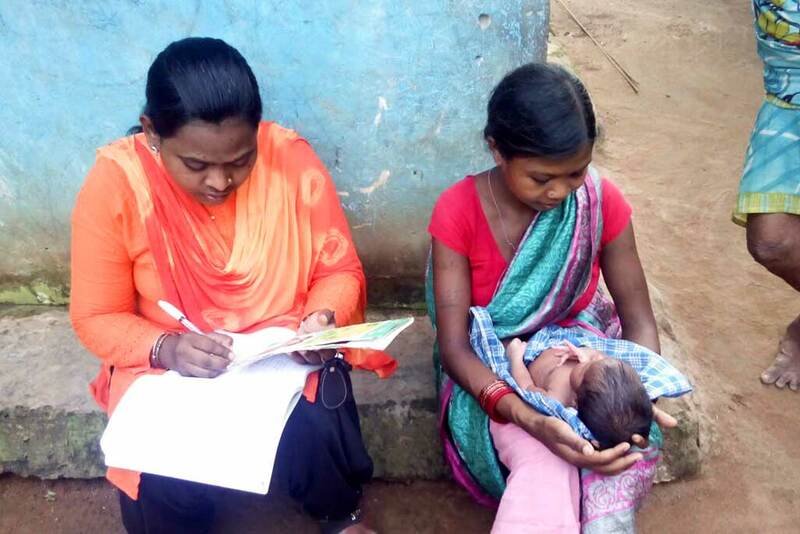 Meeting with a new mother in Deurbal, Chattisgarh.